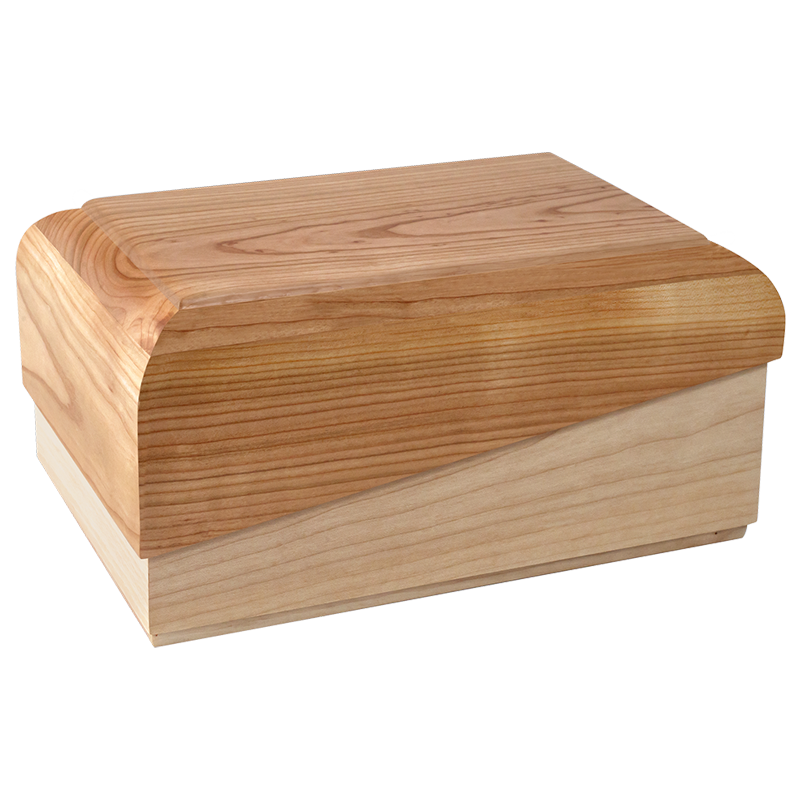 Description: Handcrafted urn in solid cherry and maple with a semi-gloss finish. Structure: Solid cherry and maple urn. Removable base. Accessories included: Aluminium pouch U-SACC. Notes: These measures do not allow to accommodate the painted sheet metal U-Z 1 or the aluminium container U-Z 2.